Hallie Parker and Annie James are two young girls living thousands of miles apart who have one thing in common: they are in fact identical twins. 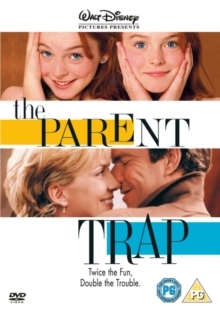 American Hallie and Brit Annie (both played by Lindsay Lohan) discover they share the same genes when they bump into each other at summer camp, and subsequently join forces to reunite their estranged parents (Dennis Quaid and Natasha Richardson). A contemporary remake of the 1961 Disney classic.